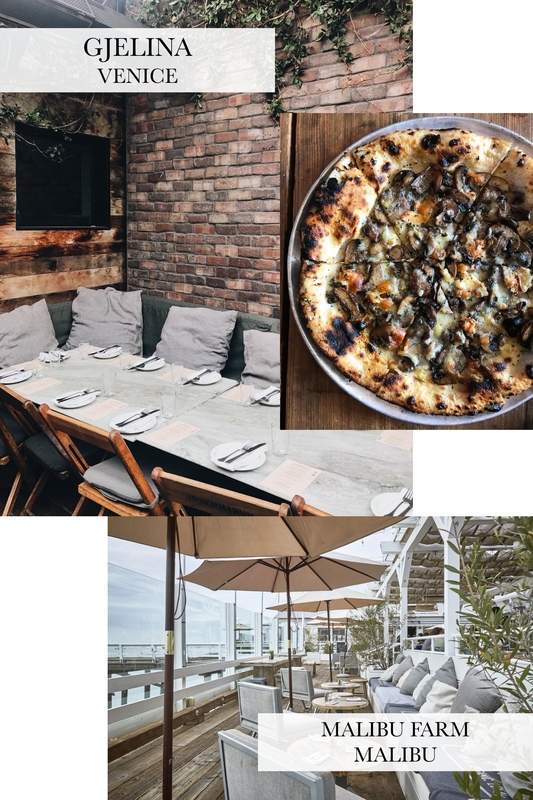 It’s almost the weekend and because it’s officially summer, I decided to share with you my favorite spots to visit in Los Angeles! Even though I’ve been living in LA for most of my life, I always try to make the weekends feel like I’m on vacay. I love leaving the hustle and bustle of DTLA and escaping to Malibu or Venice to shop around and grab some yummy food. 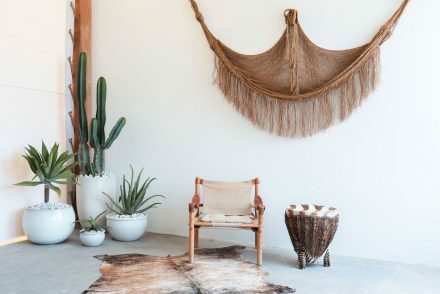 Keep on reading for my blogger-approved weekend guide to Los Angeles! Ps. I linked all the Instagram geotags at the bottom of this post so you can see each location in real life! So by now you guys may know I’ve picked up a slight matcha addiction (best recipe here), but of course still will never give up coffee. 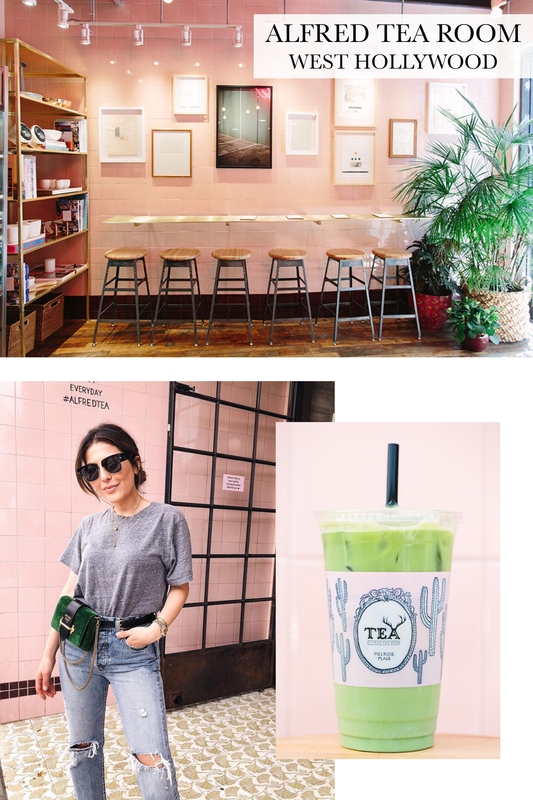 My favorite spot to grab matcha on the weekend is Alfred Tea Room, which is on the cutest street on Melrose Place. There are so many fun shops and great restaurants there too! On the weekends, you can also catch me on Abbot Kinney in Venice. Great coffee options to check out in Venice are Intelligentsia and Blue Bottle Coffee. 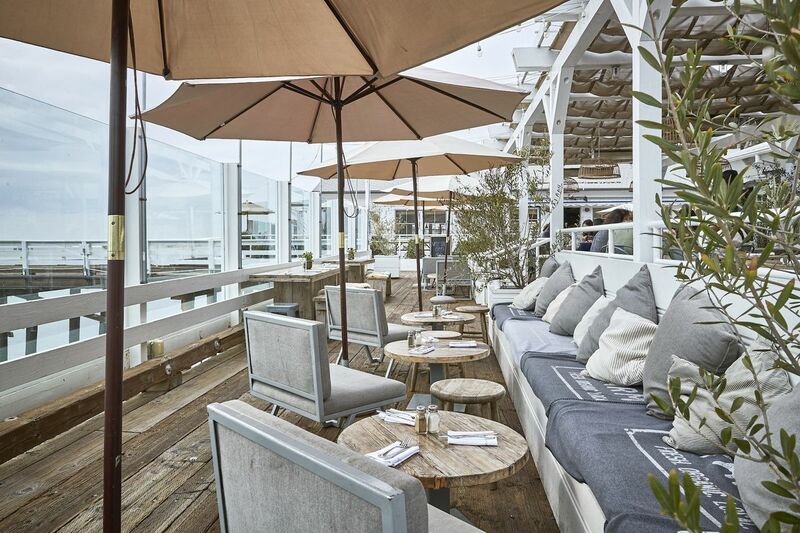 One of my favorite restaurants in LA of all time is Gjelina on Abbot Kinney. It’s one of those restaurants where you can go for breakfast, lunch or dinner and it will be amazing. If you go, definitely try the Mixed Mushroom Pizza, the Tuscan Kale Salad and the Strawberry Rhubarb Crisp for dessert! If I’m in Malibu, I have to go the Malibu Farm. Sit outside and order one of their fresh juices and a healthy salad! Is it just me or is shopping the best part of the weekend? 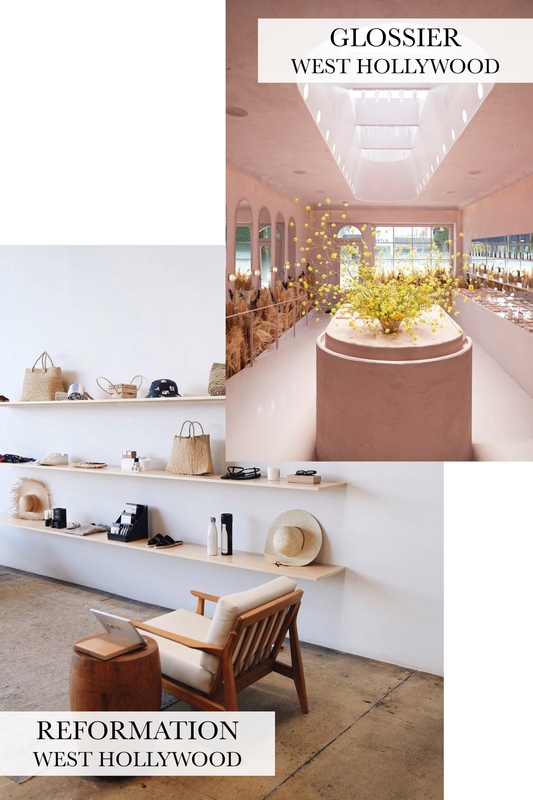 Last month, Glossier opened a permanent store in West Hollywood and its’ seriously the cutest. Every corner is totally insta-worthy, so it’s worth visiting even just for photos. Also in West Hollywood there’s Reformation and you’re in for a next-level shopping experience. 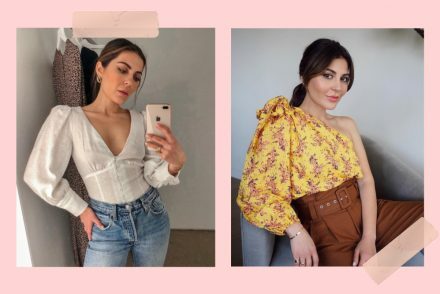 I’m talking ordering the outfits you want to try on an Ipad, high-tech mood lighting in the dressing rooms and cell phone hooks to play your own music! If you’re looking for a mall that has everything, definitely go to Century City Mall! Weekends are made for self-care. That means sleeping in, fitting in at least one sweat sesh and getting a facial or massage. I like to keep my workouts fun on the weekend and if it’s not too hot, KB and I love to hike Runyon Canyon. For massages, I recently discovered the NOW, which has locations in West Hollywood, Santa Monica, Studio City and Silverlake. Massages start at $40 which is pretty affordable for LA. 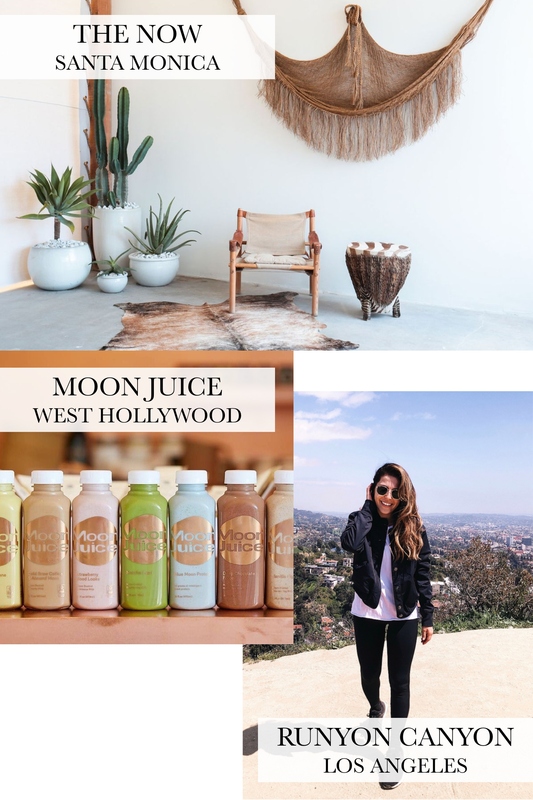 To refuel after a workout or for a post-massage treat, I like Moon Juice for a healthy (and instagrammable) smoothie. And don’t worry, if you can’t make it to their store in LA, you can buy any of their products on Sephora! I have tons and tons of other recommendations and if you would like more, please feel free to ask in the comments! Also let me know if I should do more posts like this for other cities I visit! What do you like to do on the weekends in your city? Let me know below! All these places look so relaxing and amazing. I wish I could go shopping and hang out with you . I’d have so much fun ! We seem to like the same !! Love all these places. They are so cute ? Aww I know babe, that would be amazing. Love ya. I was waiting for a post like that!!!!!!!! Please do more post like that!!! These are so helpfull if I want to take one of these instagrammable photos!!! I have only been to The Misfit in Santa Monica! Next time I visit LA I will make a list based on this post! Thanks Sona! My nephew lives in West Hollywood and I would love to go visit him and some of these awesome places. 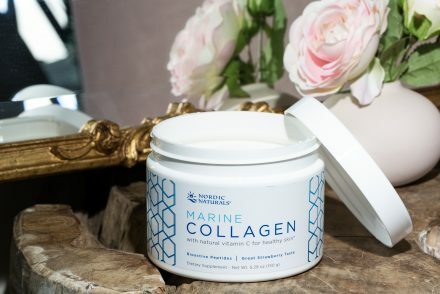 I live in the central valley and always dread the traffic in southern cali but would love to visit Malibu, Santa Monica or Venice, I have never been there. For our honeymoon next year we’re doing a road trip along the West Coast and will spend a few days in LA. As someone who has never been there before, but loves everything you’ve mentioned in this post and the types of places I would go to – what area/where would you recommend we stay? It will be some time in October. Thanks! Absolutely love you and your blog/YouTube channel! Haha, that is hilarious. I’m so glad this could help a little. Love ya. Loved this post! Could you touch on the best places to stay? Ie. Hotels you recommend or even just which part of LA? It’s been so long since I’ve been I feel a little out of the loop! WOW I LOVE THIS! Thank you so much for this! Please do this for other cities or even for the places where you go on vacation ? So I’m from the East coast and visiting in the fall sooo Definitely going to check some of these out! Hi Sona, My husband & I plan on going back to LA sometime in the future. What hotel do you recommend in LA or Venice? Something romantic!!! It’s been 20 years since I’ve been to L.A. I definitely need to make another trip out……soon! love love love these kind of posts so helpful especially by someone like you living in LA! definitely checking them out! Sure also really helpful for other cities you visited – can’t wait! Thank you so much for your recommendations!! I absolutely love this post! I wrote a similar post with some 2019 ideas! Check it out ! Love your post so inspiring!! !